Make every outing magical with a Stroller Caddy that inspires smiles with every step. 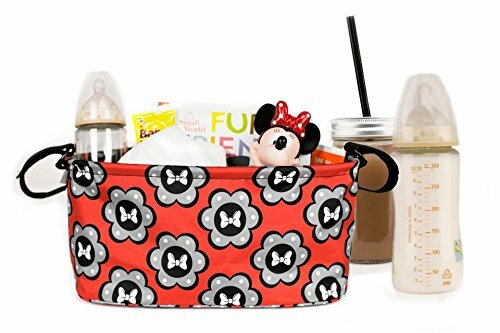 The darling iconic Minnie Mouse design attaches easily to your stroller (sold separately) with a universal hook and loop closure ensuring that parents are always magically prepared on any outing. Minnie Mouse is sweet and always stylish! Her passion for fashion and polka dot prints can be found in our selection of games, toys, accessories, and more right here! If you have any questions about this product by Petunia LLC, contact us by completing and submitting the form below. If you are looking for a specif part number, please include it with your message.